CONNECT 18 is less than two months away! We know that attending a conference is a big commitment of both funds and time, so we want to ensure CONNECT will be worth your while. 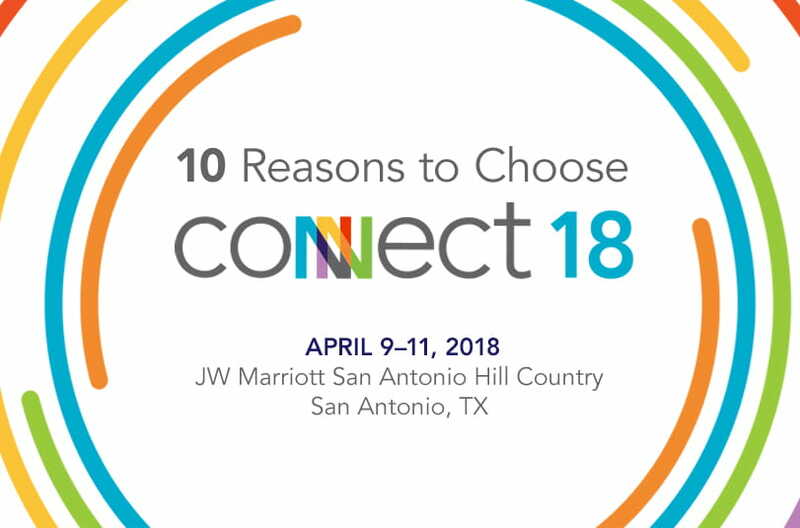 Here are the top 10 reasons to attend Q2 CONNECT 2018. The change coming to banking, from all sides, means that as your partner, Q2 must be resolute in three areas to ensure success. First, we must elevate ideas, conversations, service, and innovation to ensure you can compete and grow. Second, Q2 must continue to evolve our business, talent, and technology to move at the speed of digital commerce. Third, we must empower you to deepen your engagement in the digital channel so that you build your account holder relationships, and strengthen your partnerships. Q2 is dedicated to a partnership with our clients. We hope to see you at CONNECT! Liz Murray, the keynote speaker for CONNECT 18, is widely known for her inspiring story: Homeless to Harvard. Liz’s story was even the subject of a LifeTime Television Movie! You won’t want to miss the opportunity to hear Liz’s story in person. Read more about Liz on the CONNECT website. The Q2 team, including our executive leaders, will be in attendance to interact with YOU! There will be numerous networking opportunities, including the Welcome Dinner on April 9 and the Client Appreciation Event the following evening. The exhibit hall opens first thing on April 9 and provides another great opportunity to network with your peers and exhibiting vendors. Centrix Solutions will play a much larger role at CONNECT this year. For the first time, we invited Centrix clients to the conference, and we will have multiple sessions focused on Centrix’s innovative solutions. Don’t miss this opportunity to learn how Centrix’s solutions can help evolve your institution’s processes. Speaking of sessions… this year’s agenda is packed with information including product announcements and updates, roadmap plans, industry trends, technology advancements, and more. All sessions are led by Q2 experts, including members of our executive team. View the full agenda on the CONNECT website. Our Chief Technology Officer Adam Blue will be holding “pop-up” sessions on how we are pushing to make one-minute downtime upgrades a reality. These sessions will happen at various places and times around the venue. We are committed to evolving the CONNECT experience each year, and this is just one example of how we plan to do that for this year’s conference. For a preview of one-minute downtime upgrades, visit the Back-Office Simplicity page of our website and scroll down to Adam’s informative video. The Design Lab is back for another year! If you haven’t had the opportunity to visit the Experience Research Center at Q2’s Austin Headquarters, you should. But don’t worry, during CONNECT we’re bringing the lab to you! Schedule time to visit our Q2 Design Lab and get hands-on experience with new technology prototypes, develop innovative ideas, and talk with our testing and design experts about pain points and functionality needs. Everything you will see there is subject to change—after all, we are using these prototypes to investigate how you and your account holders interact with our software! See how you can innovate faster and more efficiently than ever with our new SDK. Our product and development leaders will walk you through improvements in design and usage and demonstrate first-hand how clients have realized the benefits of putting the power of the Q2 Platform directly into their hands. The Hub is your one-stop shop for all things product and support. Q2 product experts and solutions consultants will be in the Hub during the conference to provide demos, answer questions, and help you elevate Q2’s solutions and empower your account holders to make the most of their online banking experience. The venue for CONNECT 18, the JW Marriott Hill Country Resort and Spa in San Antonio, Texas is brand new! We’ve never had a CONNECT conference here before, and we’re thrilled to bring you a new and exciting experience. Nestled in the Texas Hill Country, you won’t want to miss the opportunity to stay at this beautiful resort. Register today to take advantage of our winter rate. We hope to see you in San Antonio on April 9!